The administrator of the Facebook group, I gave birth at home. Not brave. Not crazy. Just educated. 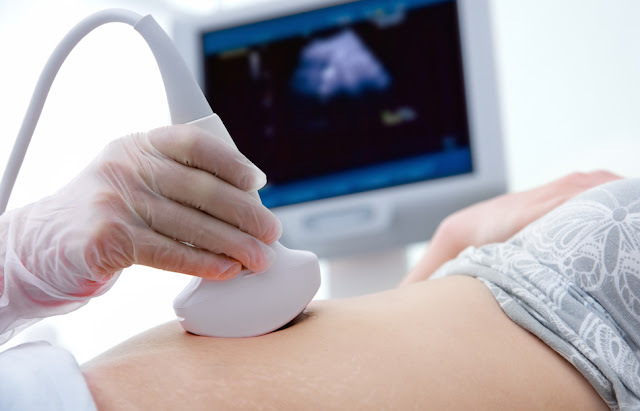 recently posted this question, "With more and more information coming out regarding the danger of ultrasound, I'd like to hear your comments regarding the use of a doppler in pregnancy and labor. Doppler vs. Fetoscope? 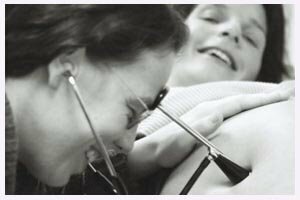 I'm interested to hear the perspectives of midwives that may or may not use them, and everyone else." We thought this was a good question to open up to our readers as we have a number of midwives, birth advocates, women's health researchers, obstetricians and pediatricians who regularly contribute to and read DrMomma.org. Dr. Marsden Wagner's Ultrasound: More Harm than Good? AIMS: Who says ultrasound is safe? A midwifery tool from years past for listening to baby's heartbeat. 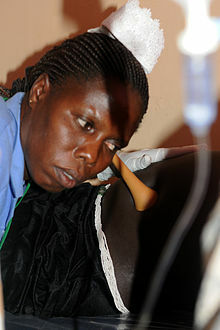 Pinard Horns are still used today, especially among skilled midwives who opt to not use other means of ultrasound interventions, and among birth workers across the globe. I use a Pinard Horn during pregnancy (as a midwife). I like it better than either. I give mamas a choice in labor, explaining that the doppler is quick and easy and may be more conducive to her laboring needs, but that of course I cannot guarantee no risk to the doppler, so if she wants to use the Pinard Horn or a fetoscope then she has to commit to periods of her labor in which she can be still, quiet, and in a position that allows auscultation. Most choose the doppler. I also give them the option to not have heart tones taken during labor, explaining the potential risks and benefits. Full informed consent. I think women and families should have that option for every single procedure they may experience. I only allowed the doppler to be used during labor. If I am ever pregnant again, I would consider refusing it altogether. My midwives are skilled enough to use a fetoscope during prenatal visits. I have my own fetoscope and loved to use it in the mornings before I got out of bed to listen to my baby and play with him. He loved to kick at the light touch of it. My book, a bibliography of human exposure studies, ultrasound, brings unprecedented slam-dunk evidence for the hazards of ultrasound. See http://harvoa.org/chs/pr for an in-depth review with data. I didnt do any monitoring for my home birth. I had one here to use during labor but I was so involved with being in labor it didn't even cross my mind to use it. In my birth center birth they used it twice once when I got there and once during transition. It was quick and didn't interfere with my being in the water. I use the doppler, parents like to hear the heartbeat too. They request it. Fetoscope is great when I just am not sure on baby's position, or if it sounds like there are two!! my midwife always used a fetoscope during prenatals. she did use a doppler during my labor. in my case that was a good thing. my labor was incredibly fast, and his heart rate kept dropping and wasn't rebounding well. she was able to stay hands on when i was pushing (when she REALLY needed to be hands on) without worrying about trying ot find heart tones with a fetoscope. I think there is a time and place for technology.there are times when benefits DO outweigh risks. but technology should never replace for the sake of progress. My babies don't like the Doppler. I vividly remember when my second son turned completely posterior in an attempt to get away from the Doppler (at 39 weeks) and I had to work to turn him anterior again. However, it is nice to hear that heartbeat when there's a concern. I think that if it is used infrequently and only as indicated, the Doppler can be a useful tool. I cringe at mamas who use one every day though, just because I know how much my babies hate it. After reading what Tami wrote above, and thinking back to my pregnancy, I wonder if THIS is the reason my baby stayed posterior and 'scrambled' away each time a doppler or ultrasound was used during pregnancy? We must have had one or the other (doppler or u/s) at least 15 times over the course of an otherwise normal pregnancy. He would kick violently when it was turned on and it seemed to me that he was trying to get away from it. I was always just assured that it doesn't hurt, and he doesn't know the difference between having one on him or not... Now I am not so convinced. And I wonder if this contributed to our very difficult birth DUE to poor positioning. Next time around, no interventions - and especially no ultrasound. Maybe even no dopplers!! I do not like ultrasound or doppler. Unfortunately, we are not able to get FHT with a fetoscope (anterior placenta), so we use the doppler. It is used only to get the 15sec reading and then put away. 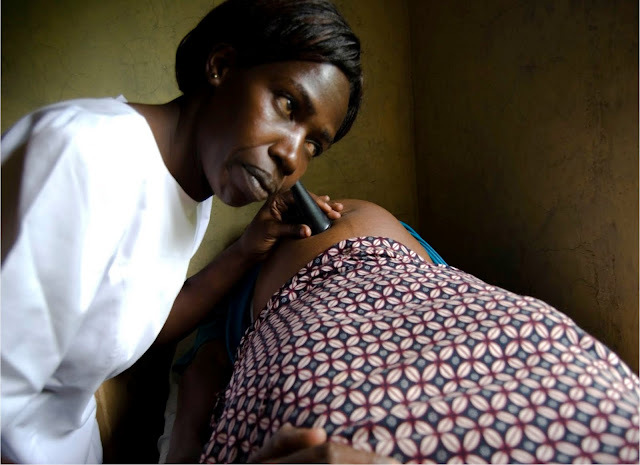 When I start practicing as a midwife, I will use a fetoscope for prenatals and doppler for labors - simply because doppler is quicker and easier to hear and I prefer to let moms do what they need to with minimal interference. It is seductive to rely on technology rather than experience because it is so easy. Ultrasound is not safe enough to use as often as they use it. Hmm, the links you provided are excellent, but they only offer one perspective. I admit I had WAY too much u/s in my last pregnancy (with twins). I don't think it helped one bit other than to ease my mind regarding the health of my pregnancy and babies. In fact, it did NOT any any way accurately assess growth concordance. And considering that both babies turned breech at 33 and 37 weeks, one DURING a high level u/s, I'd say that in hindsight perhaps that contributed to the late change in position. I'm living and I'm learning, often the hard way . . . I prefer to have one ultrasound in mid-pregnancy to look for any issues that might impact birth (fetal defects and placental position). I don't like excessive use of ultrasound or Doppler and would never be comfortable with a home Doppler. Fetoscope or stethoscope are totally fine with me. all four of my babies have all tried to hide from the doppler too so if i have another i think i will have to think long and hard about the whole thing. @Tania--Why do you say that you will use a doppler at births as a midwife? You imply that it is for the sake of the mother, but it avoids informed consent for you to make that choice. I was willing to lift my belly out of the birth tub to avoid a doppler. I also had midwives who did very little monitoring by the time I had my third homebirth, so it was minimally annoying. I would have been angry as hell though if a midwife told me it was not my choice as to which tools she used on my baby! None of my younger children liked scans...they swam away from the sonographer! In my sons pregnancy, he hated the doppler and would try to move away...didn't help that the doppler kept shocking me though! labortrials - We included the links we did because the common consensus in U.S. birth culture is to tell parents that u/s is safe and that it poses no risk (although this has never been tested or shown to be the case). The justification is similar to that which we used to claim x-ray was safe not so long ago... The other perspective is that all of these articles, research, etc., are bunk. The big 'pop' parenting magazines and books ("What to expect..." etc.) will tell parents u/s is fine, expected - necessary - beneficial. We wanted to make sure parents do have the other side of this often untold story. I would not be comfortable with a doppler unless indicated b/c it has stronger waves than an US, and I'm already wary of ultrasounds. I think maybe kinda I will get one very quick scan around 26/27 weeks. Maybe. We are still going back and forth but I'm pretty sure one scan is not enough for direct harm. After doing some reading when I found out I was pregnant with our first baby, my husband and I decided not to have any ultrasounds done since the safety is not known. 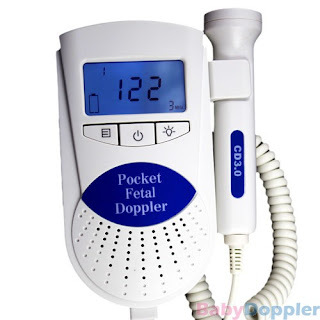 My midwife had the option of a fetoscope available, but we chose to use a Doppler instead so that I could hear the heartbeat as well and I didn't know there were risks associated with the Doppler. I scanned most of the articles in the links, but they all seemed to be focusing on ultrasounds...can someone point me to some good articles about the safety (or lack thereof) of Dopplers? Thank you so much! With our first child, we had u/s and doppler. The u/s was for dating and was very, very wrong and also caused a lot of stress since it 'showed' the possibility of brain abnormalities (because the dating was so wrong!). It took having yet another one later on to confirm that there was nothing wrong with our son's brain. But he was born very premature and by c/s for frank breech because of that dating error. He would otherise have had a lot of time to turn. I also had u/s and doppler for our second baby and he hated it and resisted every attempt that midwife, OB, or tech made to 'see' or 'hear' him. Our third had one u/s and one doppler listen for a few seconds when I told the OB to turn it off. I then never went back to that OB for reasons I won't get into here, but that baby also hated the doppler and u/s and was very uncooperative. I should add that u/s's caused my body such distress that it took me days- usually four- to recover from them. They completely wiped me out in all ways. I was a vegetable for the four days following. I didn't have any more interference for my babies- at all once I walked out of that last OBs office. Baby #3 was freebirthed and so was baby #4 and any day now, so will be baby #5. I have done no "monitoring" during labour. My babies have been active, alert, and responsive to me the whole time, so there has not been any need or concern. I think that because I have only my communication to rely upon with my babies, I am so much more aware of their needs and their expressions while they are in my womb than I was during those times when I had someone else monitor them. The doppler for hearing the heartbeat was not even nearly as reassuring to me as my baby responding to my voice and touch afterward to confirm that he was okay. Now a doppler or u/s would be so foreign that I would feel that we were both being violated. at best, they didn't in any way contribute to the health and well-being of me or any of my babies. Btw, I find that throughout the course of my pregnancy, the position of the placenta becomes very obvious. U/s for finding its location is unnecessary for me or anyone else who deliberately or just naturally gets to know and understand her body intimately. I see no benefit to handing over such responsibility to techs and their machines. The ASRT link that you posted is a good link... With ALL imaging, risk vs. benefit must be thought about. I am a registered x-ray tech. I ONLY x-ray people if needed and with a doctor's order. It is much better to know if a bone is broken and how--minute risk of radiation compared to making sure the bones are healing. This also applies to ultrasound. To date, there is NO actual evidence that US causes any harm to people. The ASRT (and every tech and radiologist you will meet) will tell you that medically necessary scans can provide vital information. The ASRT is warning against use performed by untrained and/or unregistered people and for uses such as "keepsake books". The ASRT took a hard look at these "novelty" types of imaging done at malls and whatnot after Tom Cruise and his wife Katie decided to purchase a scanner so they could do it anytime they wanted at home. This is wrong. I am currently pregnant and will have an US done in 3 weeks. My daughter had the exact same thing done, and she is a wonderfully healthy 19 mth old. I allowed my midwife to use the doppler at my first prenatal visit (15 weeks), as she could not hear the baby's heartbeat yet with the fetoscope (generally you can hear FHT by 20 weeks with a fetoscope). At my 19-week visit she was able to ascultate the FHT and I have only had the fetoscope used since then. I am willing to have the doppler 2-3 quick times during labor if I am too much "in the zone" to lay down and let her hear with the fetoscope. Thanks for putting this info out there---several of the articles I had read already, but they are not normally "out there" for the majority of new moms. India has published many articles on the dangers of using doppler/ultrasound in pregnancy, but the USA does not teach this research to our residents because the consumer demand is out there, and the damage is not readily apparent. Many years ago I remember a study where they passed the ultrasound wand over a petri dish of cells that were dividing- the chromosomes immediately mutated. Several hours later the cells seemed to be repairing the damaged chromosomes...My questions is this. If you are ultrasounding a baby GIRL, who's ovaries are forming all the ovums she will have for the rest of her life, and chromosomal damage is done to THOSE dividing cells, which then "freeze" until years later when they are released each month... Who will link any rise in female infertility or "damaged" offspring to having had their ovums ultrasounded when they were still in their mother's womb twenty years ago? I prefer to use fetalscope over doppler until after the 2nd trimester, and not to use ultrasound unless there is a medical indication- but I let the parents make the choice after I tell them my preference. Next time... I would do things totally differently. I've had 2 children. Both have had extensive US (about 7 for one, 9 for the other) for differing reasons. They're now 2 1/2 and 10 months. One was a CS, he was breech. The other was a VBAC with no scan for 'growth' thankfully. When I had my first child, the doctor's office had to search for the fetoscope when I asked for it - no one had for years and years. But my FP was amazing and she brought one with her from her main office whenever she was visiting the small clinic because she knew I preferred it (it was kept on the wall in the main office - more like decoration! When I mentioned it to a young OB I saw one time, she said they weren't even taught how to use it in med school - "they're antiques."). My doc taught her students how to use it on me (with my permission) during my second pregnancy. Now that I'm pregnant again and seeing a midwife, she always seems rather uncomfortable using the doppler for heart rate. 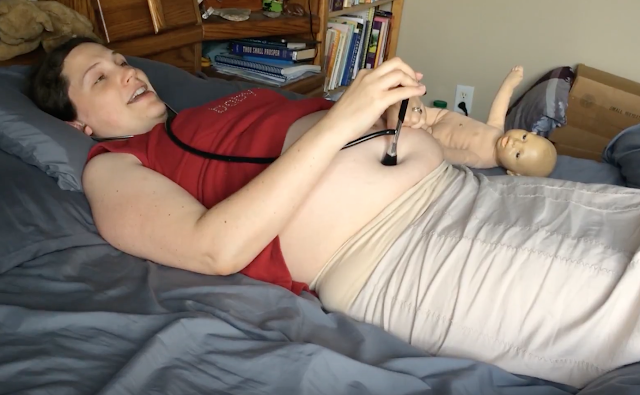 She has successfully used the fetoscope once, and the baby kept turning away from it the last time and she apologized for using the doppler. I'm thankful for her concern, but throwing a couple of miscarriages into the mix between #2 and this one... I am more than happy to take the 10-15 second risk to actually hear a heartbeat. We've never had an ultrasound done in pregnancy. I'll admit that I get pangs of wanting to know what MY baby looks like when I see other friend's u/s pictures (2D - the 3D are creepy). But that's not reason enough to have one done. I did consider having one done this time because this will be my first homebirth and we're at least a half hour from the closest hospital - 1.5 from the hospital of my choice. But I truly believe that this imposed fear has no place in my labor and birth, I have a skilled attendant, and enough can be told by palpation and where sounds can be heard to let go and trust things are okay. After all, my doctor never pushed for an ultrasound when I was having hospital births - why needlessly worry myself now? 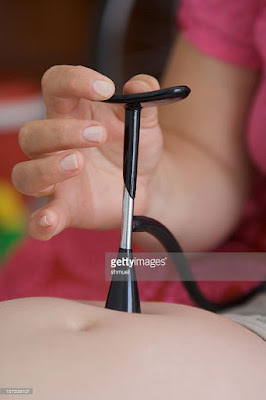 Can anyone explain to me the sounds of the placenta, heartbeat, and fetal movement, when using a fetoscope? I am 19w3d and believe that I have found the heartbeat, and placenta sounds, and am hearing the baby kick as well, but I am unsure. I have listened to audio clips of the doppler, but know that these sounds will probably sound a little different with the fetoscope. Please help me to understand what I am hearing. Thanks. A watch ticking through a pillow. You hear and feel the rhythm of the vibration more than you hear the beat. It is really quite amazing and beautiful. Out of fear people choose ultrasound without critically examining it enough. Study is not easy because industry promotes its own view dominantly.